My family and I recently visited Chicago, the third largest city in the US. It got me thinking, could I live in a big city? First of all, forget driving. There is no way I'd want to compete for road space with all the taxi drivers. The fact that everything is in walking distance or a cab ride is pretty cool. There were times I encouraged my kids to walk long distances in an effort to save the cab fare. My cheapness would probably get me in great shape. Actually the walking would help offset all the eating. Big cities like Chicago have some fantastic restaurants. You can get just about any kind of food at any time of day. My wife's favorite was the Italian Beef sandwiches and mine was the pizza. Normally I don't like deep dish, but this was crispy and so delicious. 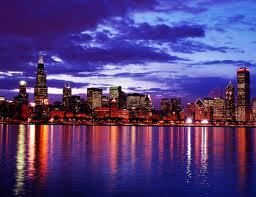 The "Magnificent Mile" sure lives up to it's name. Every store you could imagine is there and some you never would have thought of. From the very expensive Tiffany's and Saks Fifth Avenue to Old Navy. The highlight for me was seeing Kelsey Grammer and his very pregnant wife shopping in a high end luggage store. He made a purchase, I didn't. 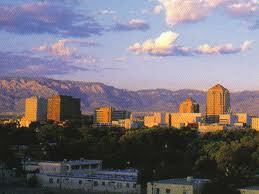 Now let's compare housing prices found in the Albuquerque MLS. You can get a condo in the downtown area for a few hundred thousand and up to several million. These look like apartments, stacked one on top of another with no yard. No thanks! Let's just say, your real estate dollar here in the Albuquerque Real Estate Market buys you a heck of a lot more. Albuquerque relocation would be as easy decision for me! First of all, I like to drive and do not want to rely on someone else to take me places. Pizza in Chicago was good, but Dions pizza with green chile is better. The shopping was fabulous, but there is nothing I need that I can't get from our stores here or on-line. The bonus is I avoid the 9.5 percent sales tax. The big difference is I like open spaces, mountain views, and the quietness of small town life. Albuquerque is just big enough.